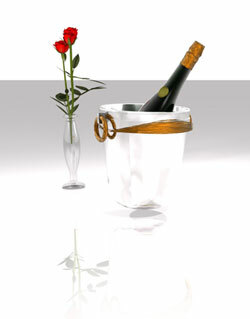 Let Lux Limousine put that special touch on any of those special moments in your life. No matter what unique occasion, our vehicles and chauffeurs will make the moment unforgettable! Lux Limousine offers bachelor and bachelorette party limo rental service can take you to the restaurant, bar, club, or travel from place to place around the city as late as you want to go! Let a stretch limo be the transportation for your entire bachelor or bachelorette party, making your wild night safe, fun and memorable, as you are driven wherever you wish to go by a highly professional and accommodating limousine driver. When you want a bachelor limo or bachelorette limo for your Montreal pre-wedding party, ride in a limousine and your wish is our driver�s command! Let the night be yours to enjoy, as you say goodbye to single hood. Prom Limos, Homecoming Limo Transportation and Hummer Limo rentals are our specialty, along with Luxury Limo Buses Party Buses for up to 50 people!!! We offer exclusive limo service in Montreal and the surrounding areas. Renting a large Limobus, Excursion SUV, or Hummer is an excellent way to transport as many as 40 people comfortably and in style!!! We will take you around the City for dinner to your favorite restaurant before the prom begins. With our extensive fleet of Hummer limousines; we guarantee that we can meet your transportation needs in all of Montreal. Be confident that your driver will make as many stops necessary for you to enjoy your party vehicle. Lux Limousine will be ready to pick you up on time, transfer you where you need to go, and deliver you and your guests to your final destination when the evening is over. Lux Limousine can make a special occasion twice as special for you and that important person in your life, without the hassle of traffic and parking. 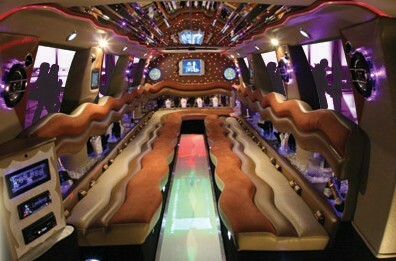 After dinner our Limo will take you to a club or lounge of your choice for dancing and drinks. And at evening's end, we take you and your date to your door. What could be more romantic. Lux Limousine is ready to make your evening the romantic memory of a lifetime. 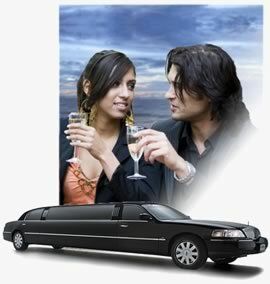 Lux Limousine can make your anniversary even more special with luxury transportation to wherever you want to go. With so many distractions like work and family that enter into a relationship, an anniversary celebration is a great way to keep the romance growing strong. We have provided limousine transportation for hundreds of anniversaries and anniversary parties and we want to do the same for you. Our restaurant limousine service allows you to arrive on time for your dinner reservations, and your chauffer will be right there to drive you away afterwards. We want to help you celebrate that special occasion in class and our drivers will be there every step of the way. Our luxury stretch limousines will take you from point to point in class and in style. Wherever you want to go to celebrate that special occasion, let our Lux Limousine staff and drivers handle all the little details. We want you to be able to relax on your special day and not worry about details like driving, directions and parking.